VAGCAR first opened for business in early 2006 and soon became very successful in serving our local Cannock area. Following our move to new premises in 2014 we have been expanding fast in reputation across the rest of the UK. Our key objective is to offer quality competitive service with a local & flexible approach to our customers. Our main line of work is V.A.G. 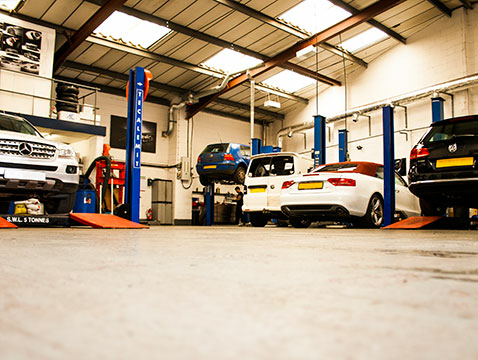 based having come from an Audi trained background, although also having full RAC training a lot of experience has been gained on all manufacture of vehicles, of which work is also welcomed and undertaken. We offer a full range of services relating to your vehicle from simple parts supply to major vehicle overhauls and restoration. General service schedules including full diagnostic reporting, along with electrical repair and rewiring. M.O.T testing is available, working closely with other businesses in the area.